WHAT HAVE WE BECOME? This is sick. Is the population creepy enough to make this show a number 1 hit? I wouldn’t be surprised. Sick! (screams – ARGHHHHHH!) Help me my lovely Sophia, Abraxas save us – we’re doomed by the demiurge. Shiva! 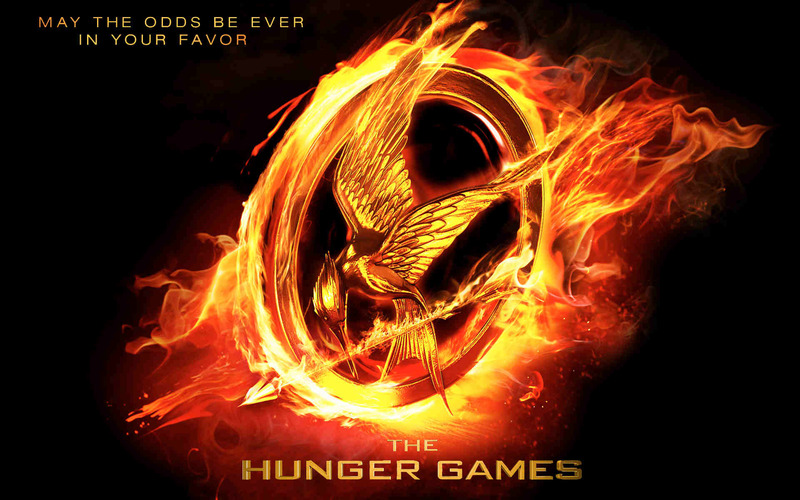 The Hunger Games is about to become reality as the Discovery network plans to roll out a show that follows a similar format. In the new reality show called “Survival Live,” contestants will be intentionally stranded in a Pacific Rim jungle without food, adequate clothing or shelter. Their activities will be monitored and recorded via a network of webcams feeding back to TV viewers who can “send aid” in the form of tools, clothing and food. It’s a format ripped right out of the book (and film) Hunger Games, where an oppressive dictatorial regime forces young adults to fight to the death as a form of entertainment for the masses (and the amusement of the political elite). 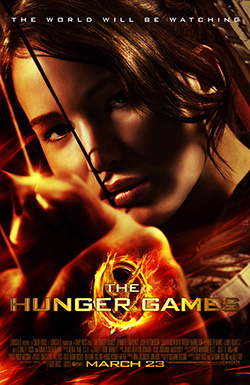 In the Hunger Games, contestants are dropped into the wilderness with access to deadly weapons they must use to kill each other. As the weakest contestants are killed off, news of their demise is broadcast to enthralled viewers worldwide. Corporations can send aid to contestants in the form of air-dropped supplies, a sort of “paid placement” advertising. Discovery’s Survival Live follows a similar format, with the weakest contestants being plucked from the show each week (and fortunately not killed outright). Viewers watch the contestants on a network of webcams, and the public can send aid to be delivered to contestants. It’s not difficult to see how reality TV is increasingly resembling science fiction. In 1987, a film called The Running Man(2) depicted Arnold Schwarzenegger as a convict placed in a mass-murder game show in which the last man alive wins the show. The show was broadcast for the viewership ratings in a crumbling society where ethics and morals were increasingly abandoned. Today, as ethics and values are abandoned across American culture, it’s not hard to see reality TV trending toward more “brutal” scenarios where lives are put in extreme danger. Crisis issues threatening the downfall of the nation — such as out-of-control debt spending and the chance of nuclear war with Russia — are increasingly dismissed with distractions involving daytime television and junk celebrity news. I can certainly see a development where a less conventional broadcast network would work out a deal with private prison corporations to broadcast live “reality prison combat” shows. This could even become a Running Man-style game show where convicts on death row are given the choice to “compete” in a death match and possibly win their freedom. Many of the fake TV ads depicted in the first Robocop movie (1987) have also come true today. They were considered bizarre at the time, but now ring true in a collapsing culture and society. Even the script choice of Detroit as a crumbling city where cops are overrun with criminals turned out to be prophetic. Mike Adams (the “Health Ranger”) is the founder of NaturalNews.com, an independent news source covering personal and planetary wellness from nutrition to sustainable living. He’s written thousands of articles on nutritional therapies, natural remedies and health care reform, attracting a following of millions of readers around the world.Adams was named the second most influential person in alternative media in 2011 and is a recipient of several awards for investigative journalism. Adams also serves as the executive director of a non-profit organization, the Consumer Wellness Center and spiritual exploration website DivinityNow.com. This entry was posted in Uncategorized and tagged 24/7 monitoring, advertising, biometric data, broadcasting, brutal, contestants, cops, Detroit, Discovery channel, distractions, fake, Hunger Games, junk TV, Mike adams, Natural News, reality TV, regime, Russia, society, survivalist, the Discovery network, the Hunger Games, The Running Man, TV, webcams, young adults. Bookmark the permalink. I killed my television years and years ago. It appears it is getting crazier and crazier . I sympathize, I cannot even hear a television without revulsion, sure there are a few good nature shows and such, but the internet is much more conducive to searching for the nourishing stuff. Mostly I stick to my imagination and my forays into the real world of nature. I love reading yours too, something in me clicks with your words. I believe we both resonate with Sophia’s story. Sophia my love, my Wisdom, my life. I feel her agony, confusion, strength and ecstasy deep in my heart. Earplugs??? Just make sure they are invisible.